CAREER BOOSTER : ARE YOU LINKED IN OR LEFT OUT? Assalamualaikum wrh wbt! Have a GREAT Day everyone! Guess what? CAREER BOOSTER is BACK! Aren't you guys excited? 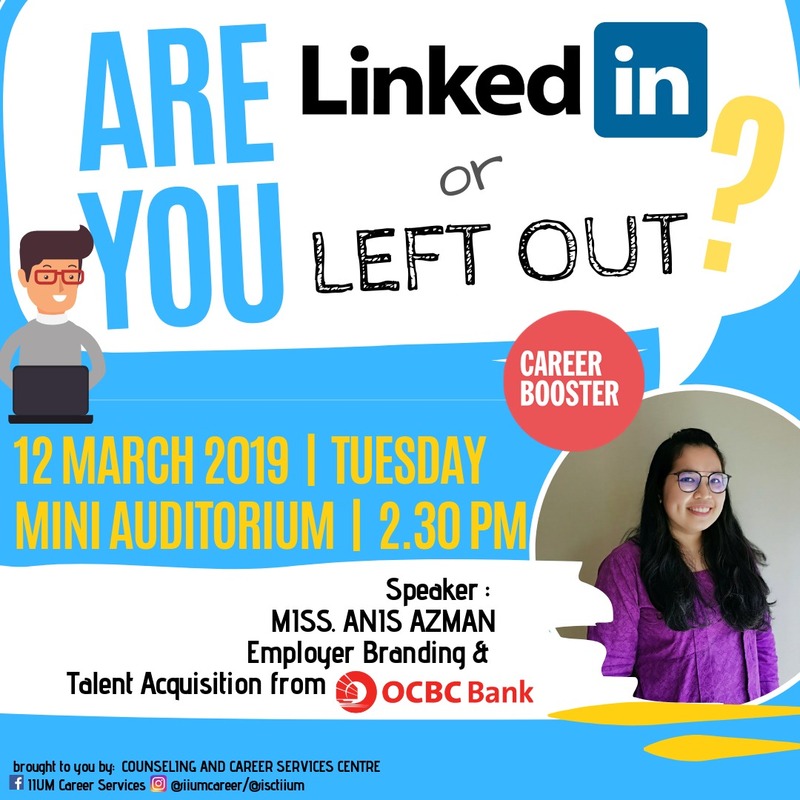 A special program to know about Linked in, its importance and advantages as a medium for self branding professionally and as a medium for job search. It is opened to ALL students!